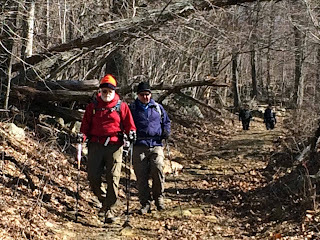 A beautiful Saturday in February had a lone Roanoker heading north to meet up with nine hikers from Charlottesville in Douthat State Park. The group decided to head to the western reaches of the park to experience both views and waterfalls. 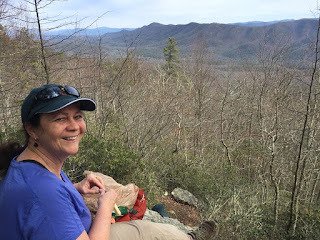 Although the waterfalls turned out to be pretty weak, the views were five star. 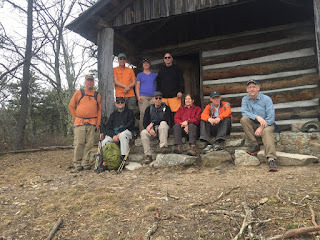 Hikers included RATC/PATC member and hike leader Jeff Monroe, RATC member Ken Myers, and PATC – Charlottesville members John Brandt, Dave Borszich, Iva Gillett, Bill Holman, Michael Seth, Marie Moss, Taylor Putney, and Howard Davis. 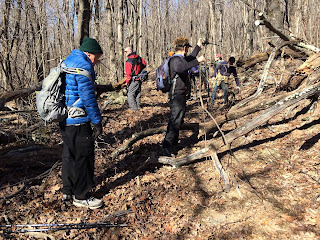 The group found a trail system that is very well marked and maintained, with relatively few other hikers on the trail. 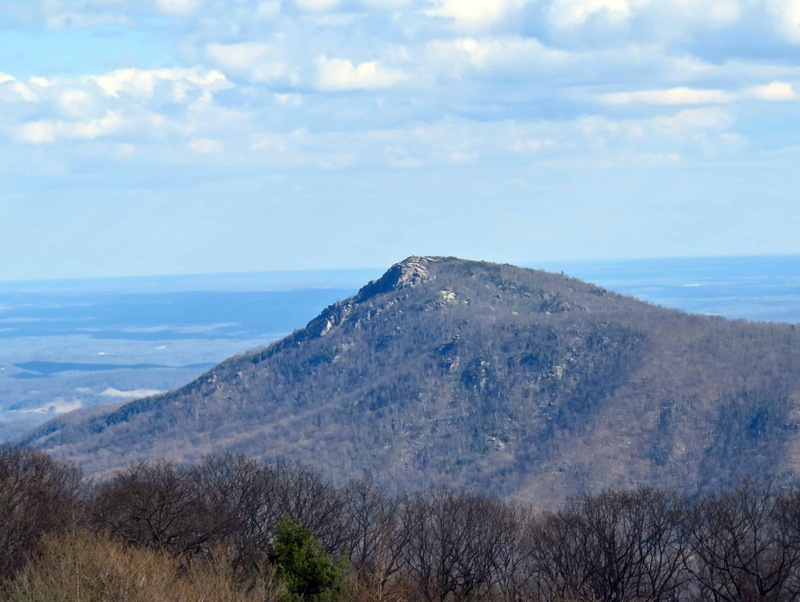 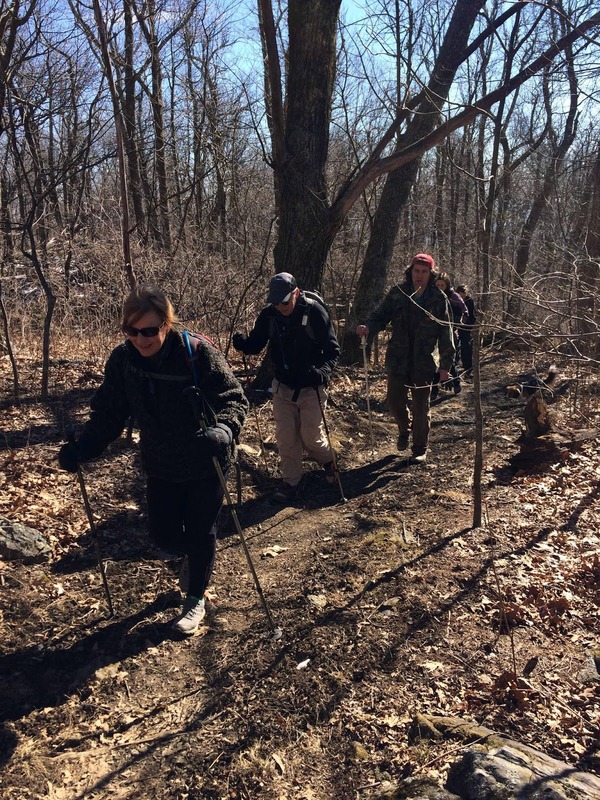 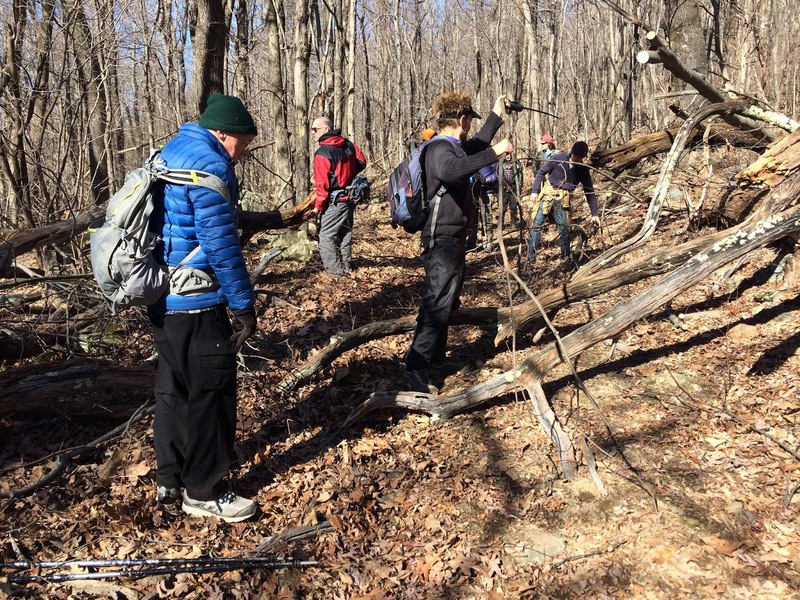 Six hikers, including hike leader Gabriel Garretson, climbed Cat Knob starting from Bootens Gap, and continued to The Sag, Rapidan Camp, Big Rock Falls and ended hike at Milam Gap. The overall moderately strenuous hike was 7.3 mile long with 1700 feet of ascent on a mild 60 degree winter day. 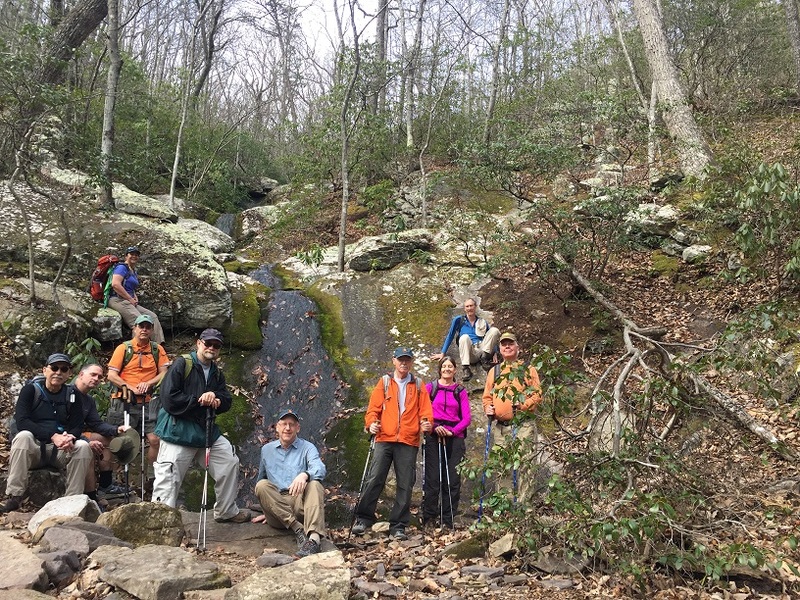 Other hikers included Claire Cline, Lindsay Brown, Mike Spencer, Patrick Cory and Tim Munford. 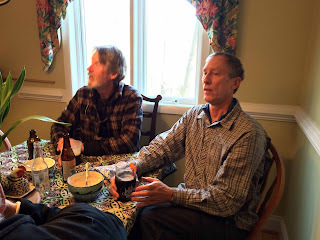 Tim and Patrick went on a one mile side trip up and back up the Fork Mountain Road to the SNP boundary to help Gabriel and Claire in their effort to complete hiking all 500 plus miles within SNP. 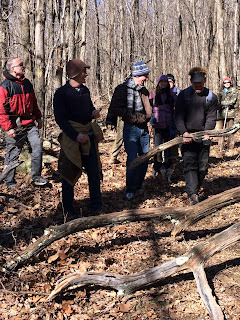 On our return the Laurel Prong stream crossing was challenging and two hikers got their shoes wet. 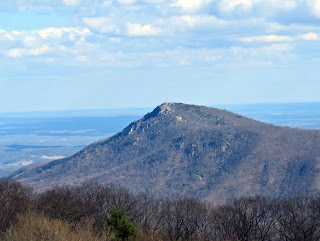 Lunch at Rapidan Camp and the view at Big Rock Falls was delightful. 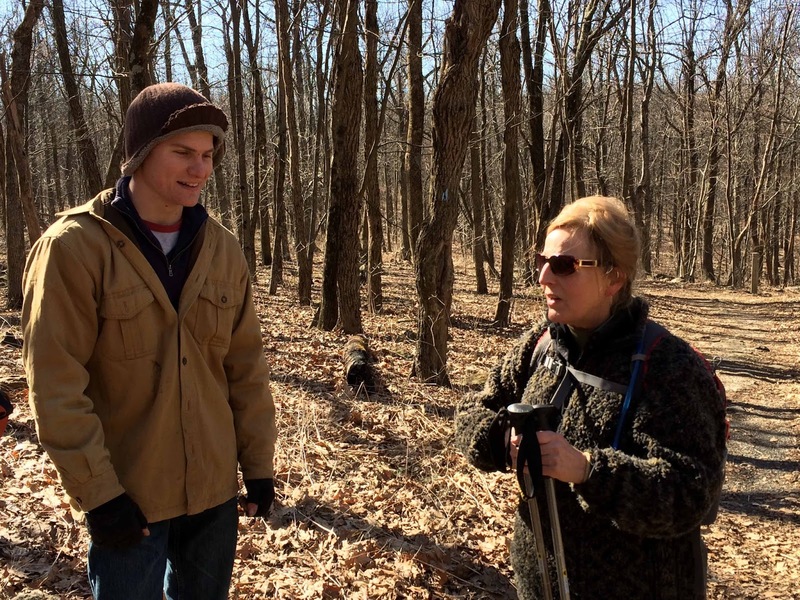 It is now projected that both Gabriel and Claire will finish hiking all 500 plus mikes within the SNP on a PATC hiked planned for March 2nd. 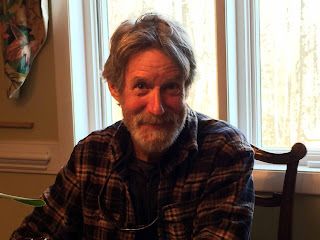 Please join us for this celebration if you can. 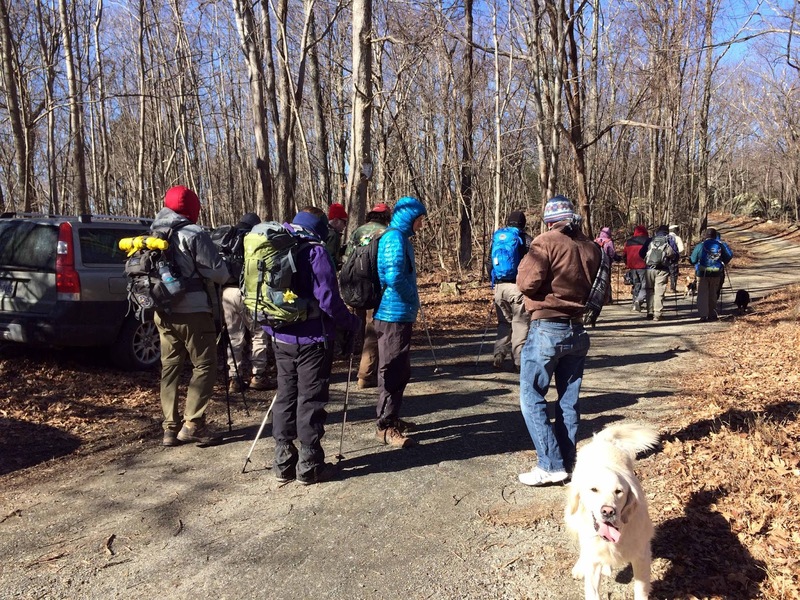 Cold and windy - perfect weather for a shorter hike nearby, so that it could be followed by a soup social and watching UVa basketball. 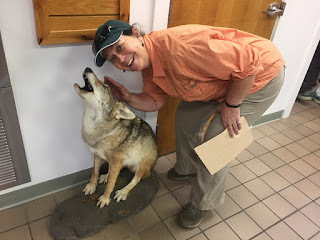 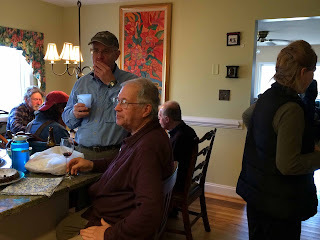 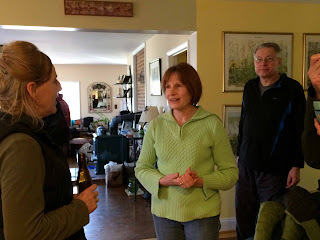 While Iva Gillet collected Lindsay Brown, John Shannon, Marie Moss, Tony Alimenti, Lisa Lampe and Max the reliable hiking dog, Neil McKinney and Brian Muszynski from AHS, others were arriving at Iva's Briarleigh Farm. Assembling there were Gabriel Garrettson, Michael Seth, Leon Gorman, Dave Borszich, John Brandt, Pat Peason and Geoff Manning-Smith. 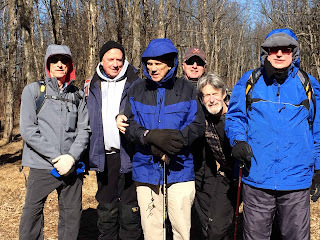 We had two father/son pairs hiking today with veteran long distance hiker Mark Perschel and his son Mark, visiting from Alabama, and Eric Geilker and his son Adam, both joining us for the first time. 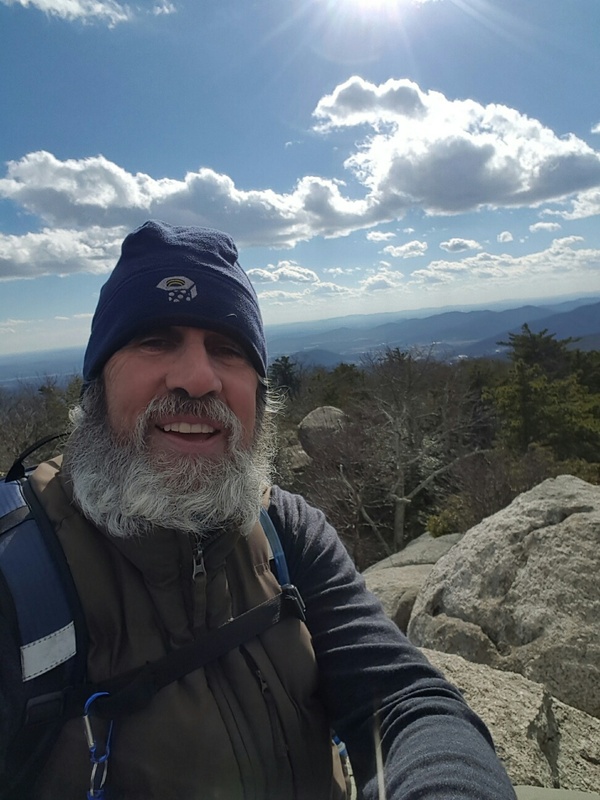 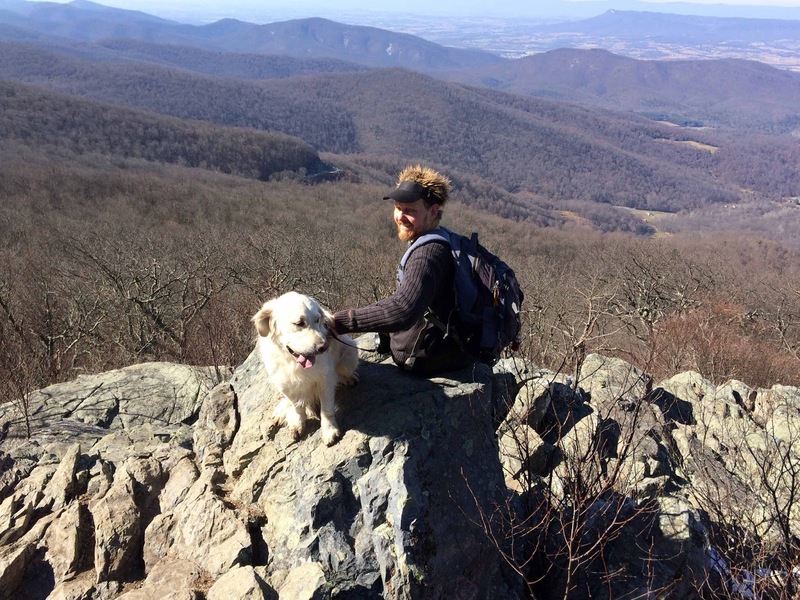 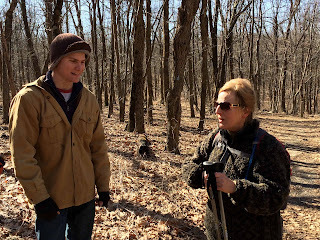 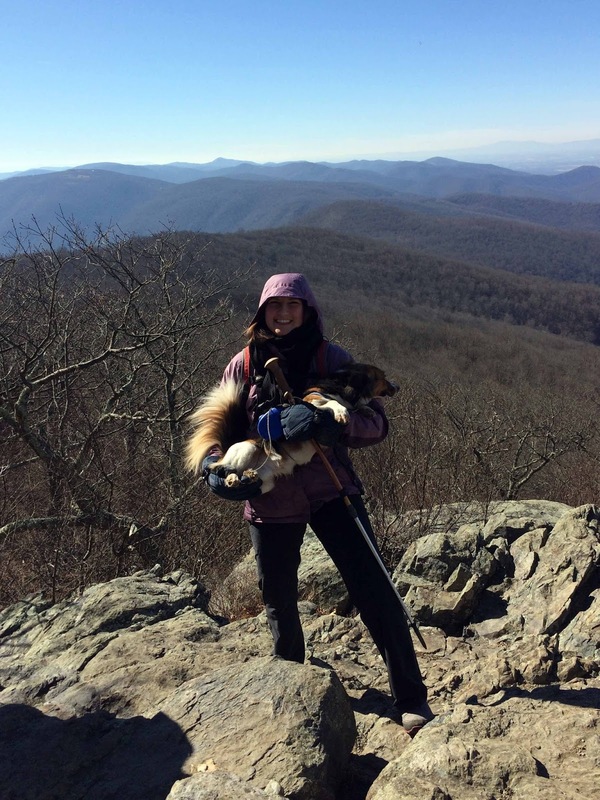 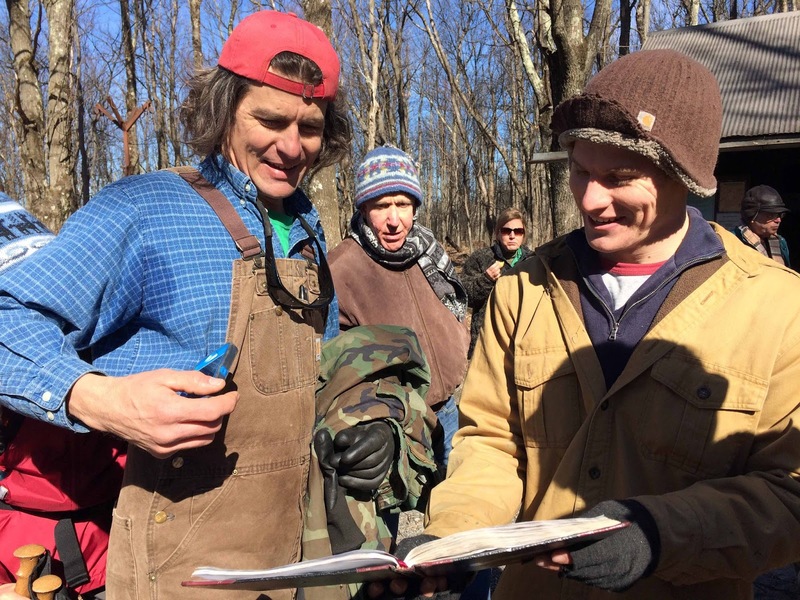 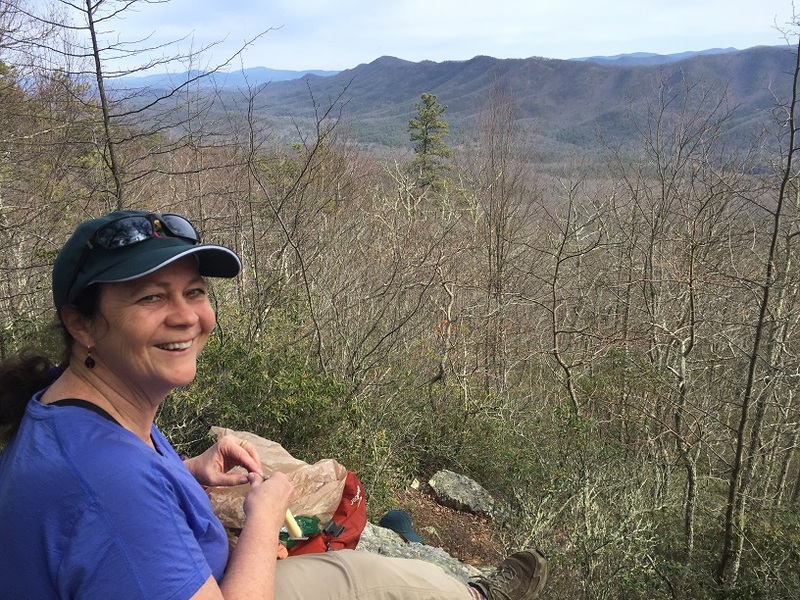 Adam was recently featured in an article written by PATC member Jeannie Siler which appeared in the Potomac Appalachian January newsletter on page 21: http://www.patc.net/PATC/Library/Newsletter/PA-2017/January_2017.aspx about his flip-flop/yo-yo thru hike of the AT last year. 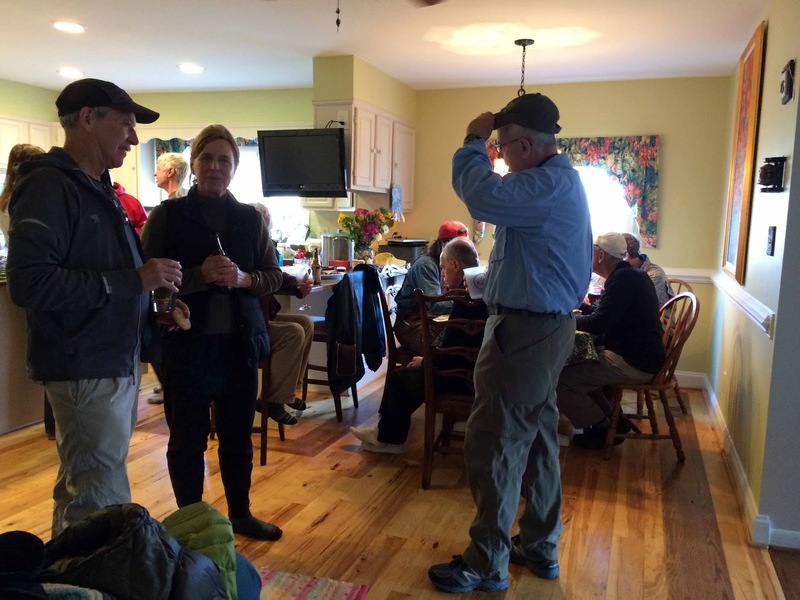 The final group was the Crozet Xpress driven by David Crowe, who brought CJ Woodburn, Rich Bard, Nancy Handley in addition to the Perschels. After collecting two more dogs - Remy and Colt and piling into all 4 WD vehicles, we began the adventure, which commenced with the ascent up Snow Mountain Road. 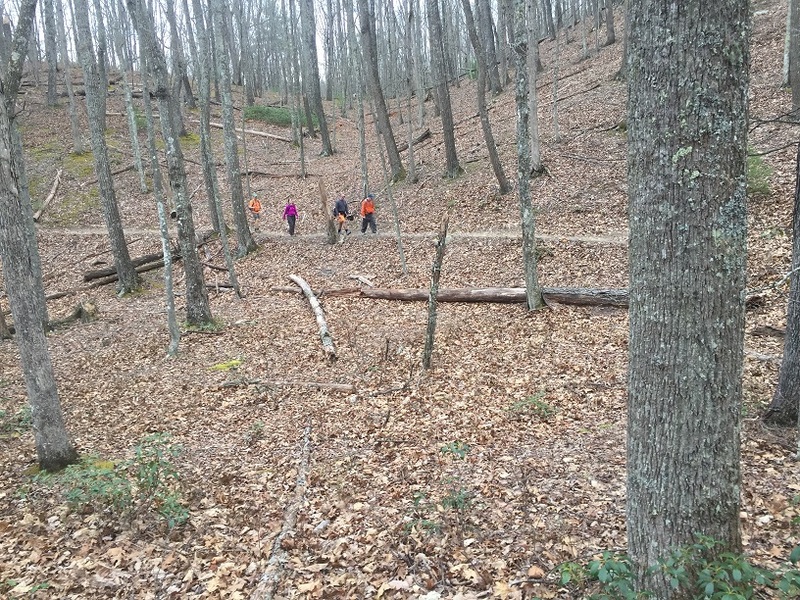 This a rugged gravel road that winds up Snow Mountain toward Smith Roach Gap. 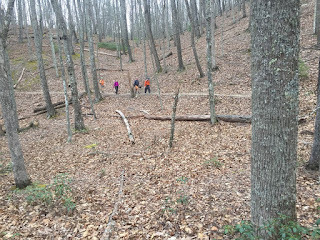 Steep drop-offs, muddy roadbed, and water across the road, helped invigorate us for the fun ahead. It was very windy at the top, and we added layers before heading out. 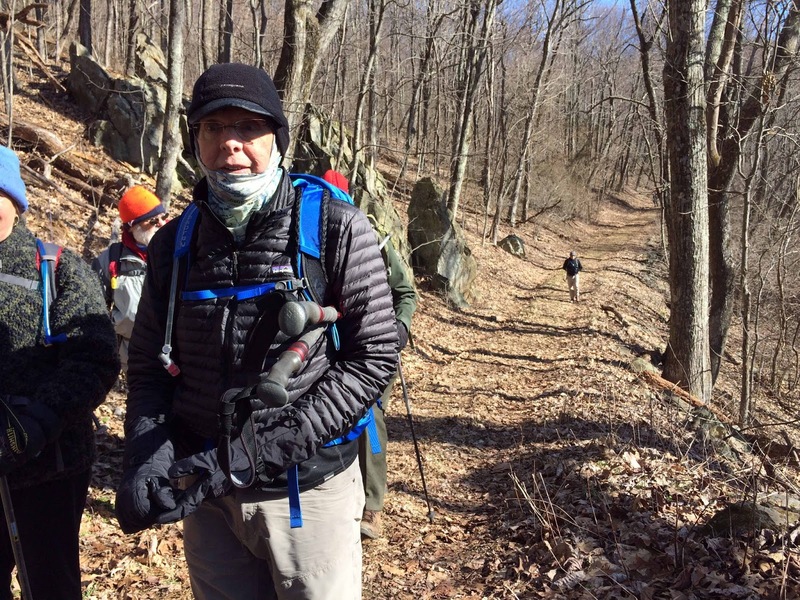 Bill Holman led four others on the shorter, three mile loop starting at the edge of the Shenandoah National Park. The others, and all three dogs, began further down the road, and upon entering the Park ran across a large blow-down. 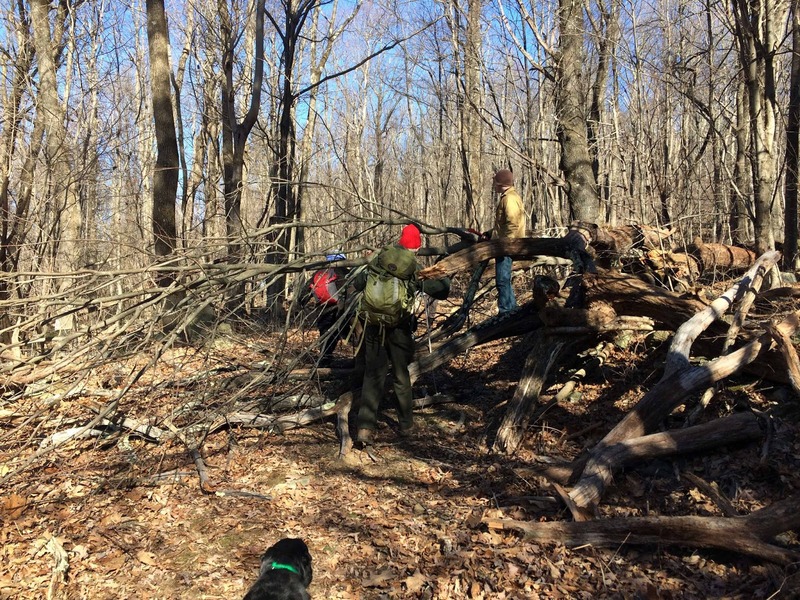 Giving back to the trail, as thru-hikers do, Adam Geilker led the assault on the tangled mess. We hiked the Smith Roach fire road to the Smith Roach Gap, and then headed north on the AT, climbing toward the Hightop Hut. 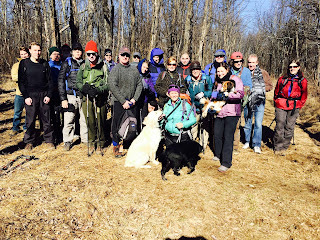 A lovely, sunny day allowed us to enjoy the views around us. 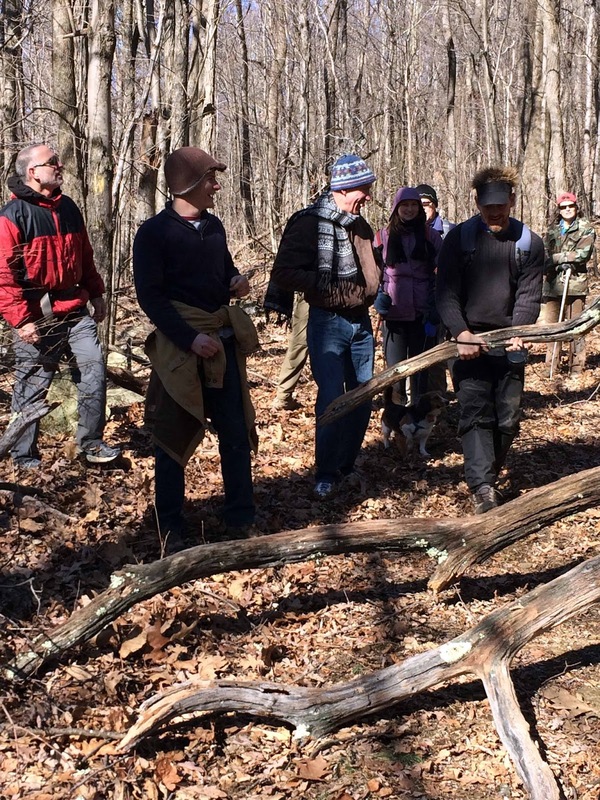 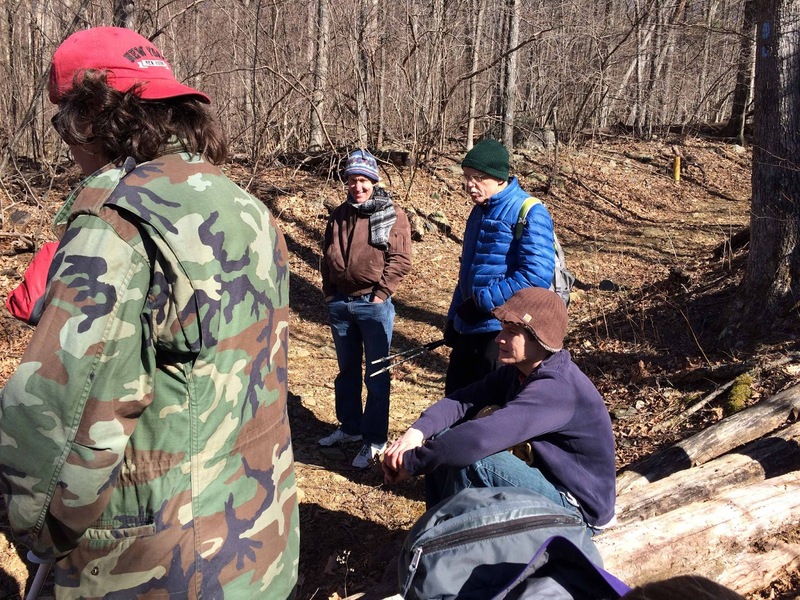 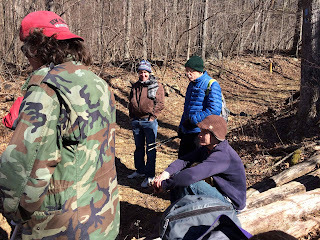 Both groups convened at the intersection of Hightop fire road and the AT, took pictures, and then Bill’s group descended to head back to the farm to heat up the soup and watch the UVa game. 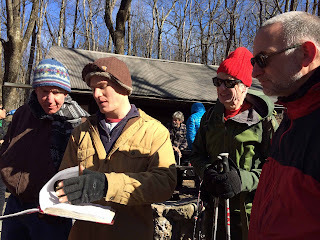 All others continued to the Hightop Hut for a quick snack and to see Adam’s entry in the hut log book from last September’s thru hike. Brian and Colt led the group to the grand viewpoint on Hightop Mountain, where we enjoyed the expanse into the Valley. Then we were back to the cars and to the farm for the three soups that Bill Holman had prepared for our lunch feast. 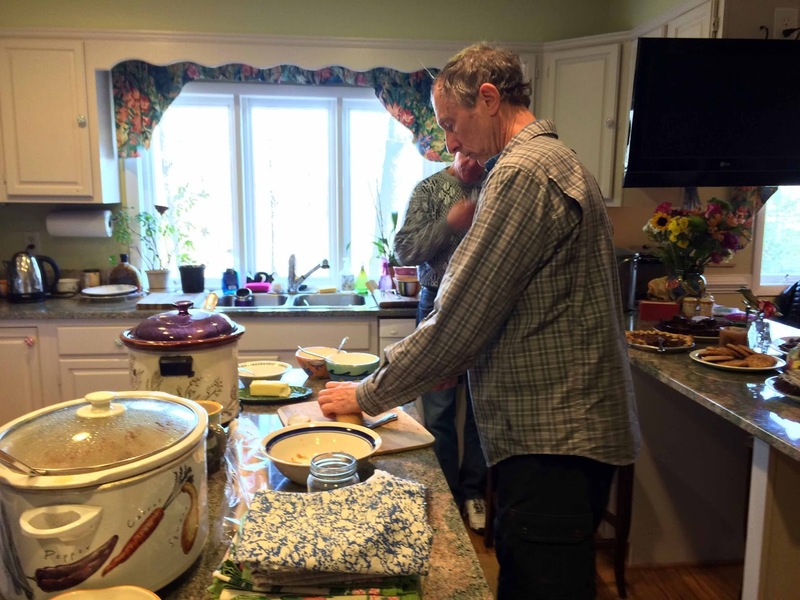 Marian Styles had arrived before the hikers, so she joined the farm fun and ample food. 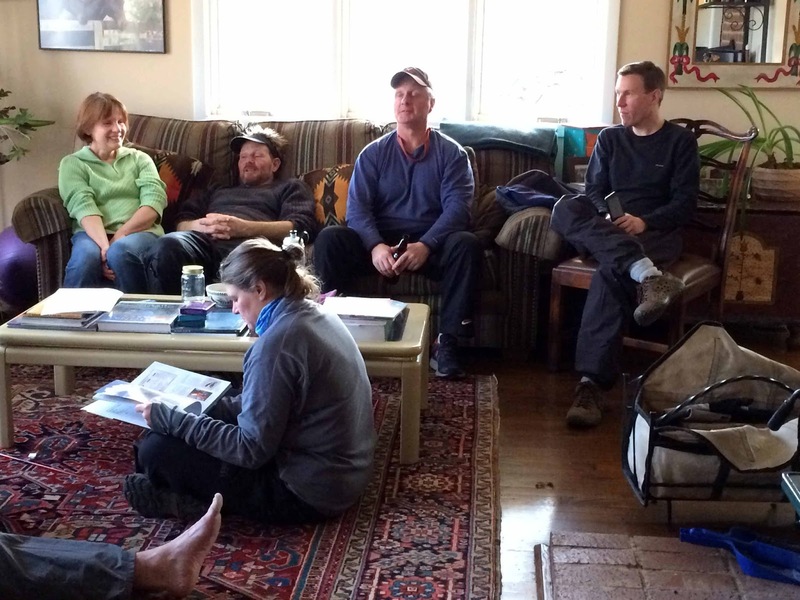 Great conversations and outdoor friends are an unbeatable combination! Six hikers, including hike leader Gabriel Garretson, climbed Old Rag using the Saddle trail to avoid the rock scramble. 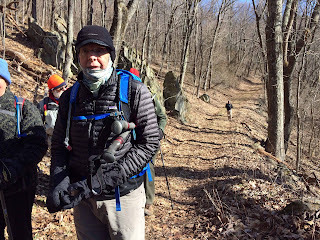 The moderately strenuous hike was 6.2 mile long with 2300 feet of ascent on a very windy clear winter day. 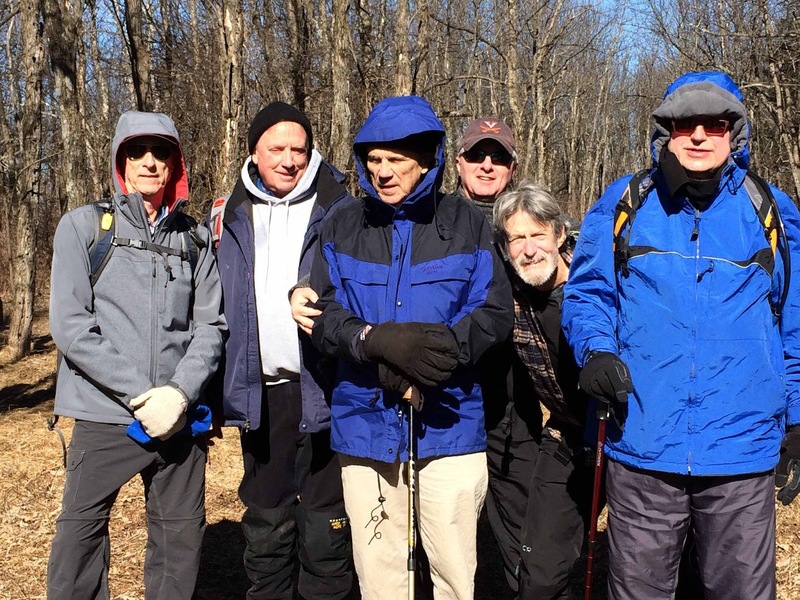 Other PATC weekday hikers included Anne Colgate, David Crowe, Steve Braintwain, Mike Spencer and Jonathan Petrakos. 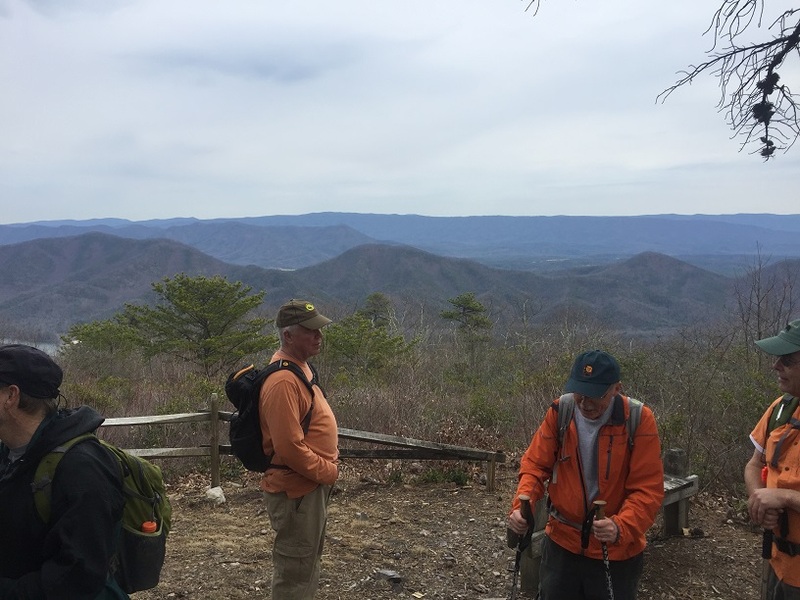 The vista views were exceptional but wind gusts of up to 50mph limited our ability to fully enjoy the summit. 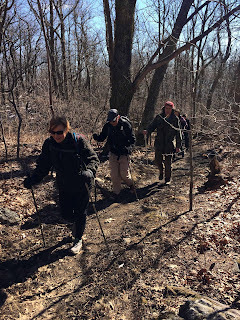 We found it very interesting that we did not see another hiker all day. 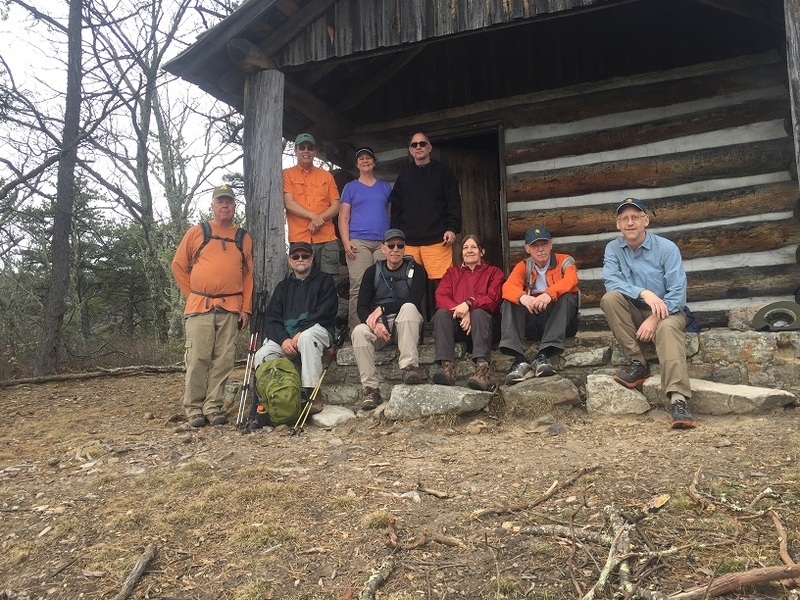 A new first for a PATC group to have exclusive use of the summit. 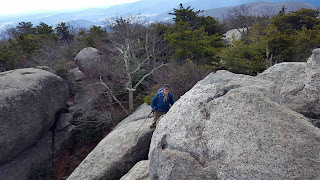 Maybe we are just a little crazier than others that avoided Old Rag on a windy day. 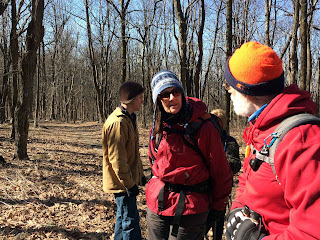 Everyone was glad they went and really enjoyed getting to know new weekday hikers Mike and Jonathan. 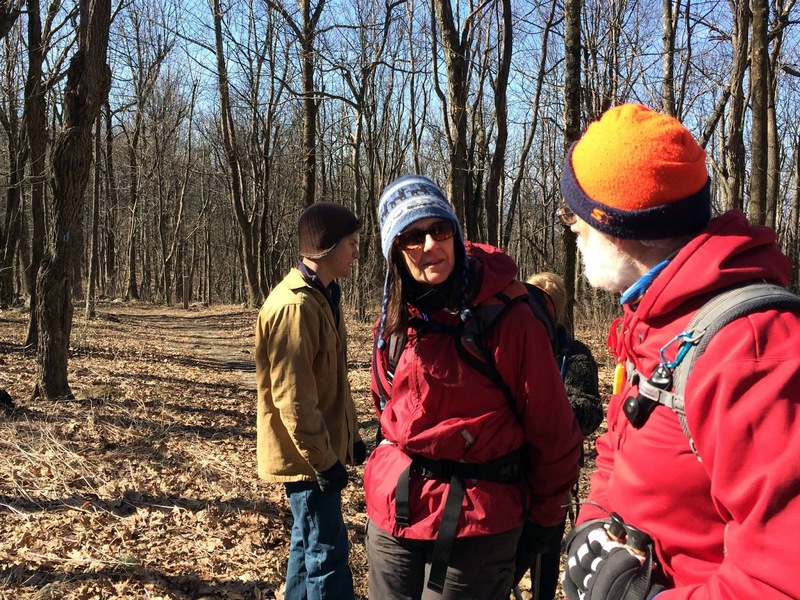 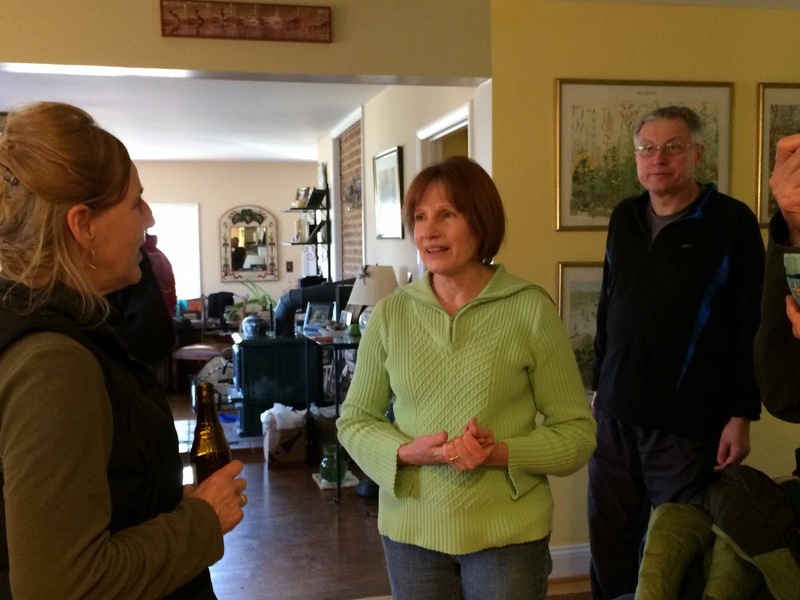 Everyone was also interested in the possibility of more weekday hikes with PATC.